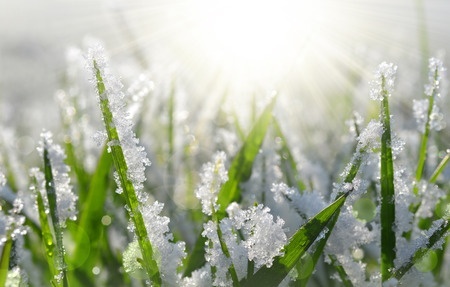 Get your lawn winter ready with Jubilee Seeds & Turf’s expert advice! September to early October is the perfect time to get your lawn prepped for winter. The frost creeps in so quickly after those Summer months, you can be forgiven for nearly missing out on those last few dry days to prep your lawn but it only takes a few simple steps to keep it in tip top condition and you’ll thank us later! We may not have had the driest or most consistent summer this year but due to the rainy days in between, most lawns will already have had nature’s helping hand to stop the soil from drying out. One of the most common problems for a summer lawn (particularly with wet weather in between) is moss and debris (also known as thatch) buildup. With a combination of weeds and compacted ground (often in play areas or heavy traffic), drainage becomes a problem and so moss starts to spread. To tackle a current moss problem, treat with a moss killer and wait a week or two for it to die out and turn black. Once it has died back, using a spring-tined garden rake, remove the moss and any thatch or grass clippings that have built up on the lawn surface. Debris like this encourages weeds and turf diseases which can turn into a bigger problem so tackling it as soon as possible, is key. Be careful not to rake too deeply as this can damage the turf. Removing branches or low hedges nearer the ground can prevent this problem occurring in the first place. Similarly, creating air channels in the ground with a garden fork can help to ventilate and drain the compacted areas of the lawn prone to moss and help prevent its return. Push the fork as far as you can into the ground and wiggle it back and forth and repeat every 4 – 6 inches across your lawn. Give Your Lawn a Boost! To give your lawn a fighting chance through the colder months, treat it to a good feed. A good Autumn lawn fertiliser such as our own Jubilee Autumn Fertiliser, that is high in phosphates and help strong roots develop. Although you may have some Spring fertiliser left over, DO NOT be tempted to use this instead! Spring fertilisers serve a different purpose and encourage softer, sappy leaf growth which is not equipped for the harsh winter frost. It may also encourage a snow mould infection. Our Autumn Fertiliser is environmentally friendly, helps promote healthy plant growth with a long lasting supply of nutrients and improves your soil quality overall. When you mow your lawn for the last time, slightly increase the cutting height to 1½ in to keep a protective layer. Make the most of those dry days and remove any buildup of leaves with a rake. Keeping the lawn free, prevents a thick layer forming which smothers the lawn and weakens the grass. Unwelcome garden pests such as chafer grubs, love to nest and shelter in amongst these pile ups and can prove problematic so keep them at bay as best you can. Lastly, try not walk across your lawn when there’s a frost, this also damages your grass at its most brittle stage. Come the Spring months your lawn will seriously love you for it!